11 February 2014: The Director of George Hwang LL.C, Mr. George Hwang, delivered a 45 minute seminar on the importance of Intellectual Property (IP) and how it can help designers protect and enhance the value of their design. 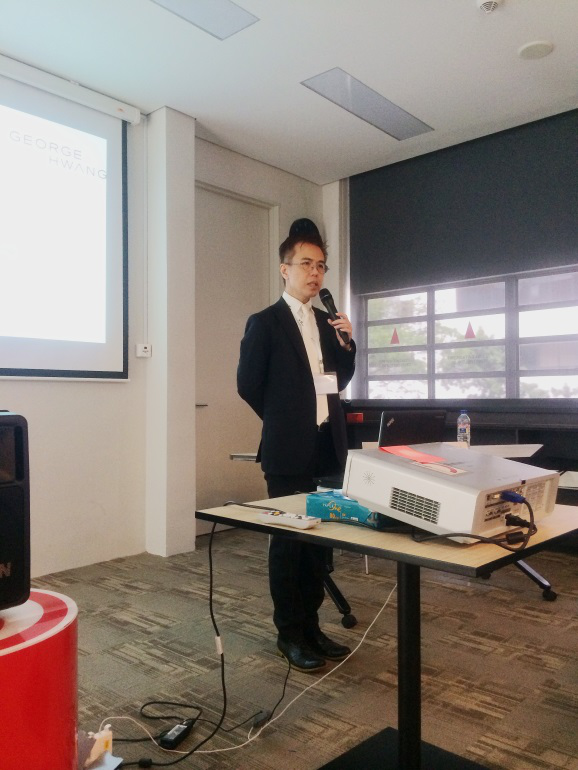 The seminar, jointly organized the DesignSingapore Council and Intellectual Property Office of Singapore was attended by various members of the design industry. After the presentation, participants were offered free private legal advice for their business and design initiatives. During the short seminar, George explained to the participants the significance of utilizing IP to protect one’s economic gains by restraining the unauthorized use of work. George covered the differences in the types of IP protection available for the relevant design industries as well as the benefits of registering their designs. Participants also learnt the definition of designs that are deemed protectable under the Registered Designs Act. George further advised participants on possible IP strategies and policies that their company can adopt to protect their original work. The audience benefited greatly from the brief session, since it shed light on the various approaches that their companies can utilize in the protection and capitalization of their products. At the private consultation, industry players were given the chance for a free one-to-one consultation to raise issues on any IP issues they have encountered. George fielded queries on how to develop a unique IP strategy for their products. George explained to them the necessary procedures that have to be considered, such as the registrability of the design to be protected, before they can be registered. For more information on intellectual property and design rights, you may contact George Hwang at george@georgehwangllc.com.